There’s a treasure trove of history hidden away in Halls Crossroads, painstakingly collected by one passionate historian, and now there’s a movement afoot to put that history on display for the community to enjoy. Anyone who’s met Halls historian Hubert LaRue knows his love of Halls history runs deep. He’s spent years collecting written records, photos and artifacts from times gone by, displaying them in wife Susie’s old homeplace. From phonebooks and yearbooks to antique tools, LaRue collected and organized it all. 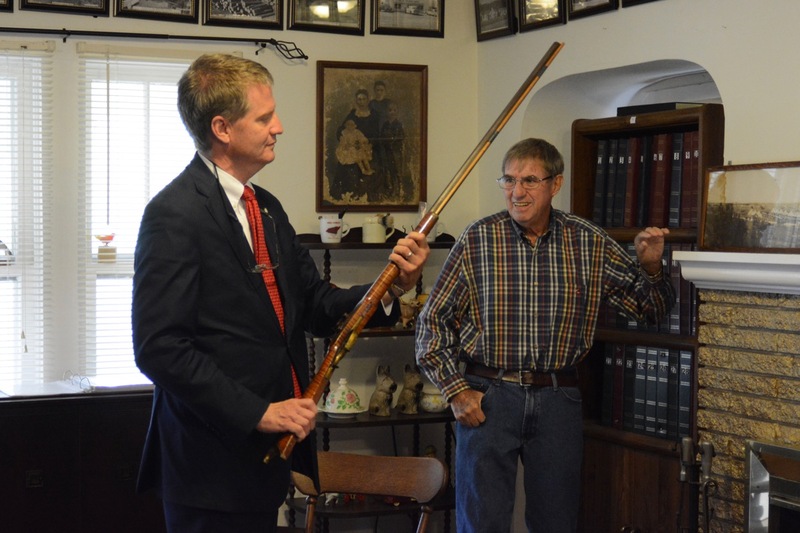 Knox County Commissioner Charles Busler is facilitating a project that would move the collection to a publicly accessible building where folks could see the history and do research without placing a burden on the LaRues. But the project needs funding and community support. Busler said he’s looking at two buildings in Halls that could house the collection, plus serve additional needs in the community. Busler and other community members are looking at avenues for fundraising, and they’re raising awareness of the collection’s value as a community asset. In addition to the new museum project, an anonymous donor recently gave funds to the Halls Crossroads Women’s League to create a history video featuring people who grew up in Halls. Doug Mills of “The Heartland Series” will shoot the video in LaRue’s history house Sept. 18. It will feature folks like David Sharp, Millie Norris, Carl Tindell, Gordy Noe, and of course LaRue himself. The video will be available for purchase, and it will run in a loop at the future museum site. Watch KnoxTNToday.com for updates on the museum project.